After purchasing a property on the outskirts of Norwich the new homeowners contacted us regarding a septic tank failure. 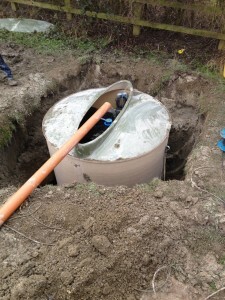 The homeowners were made aware of the septic tank failure only two weeks after moving into their new home when the septic tank flooded. 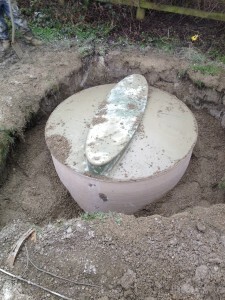 Although the issues surrounding the septic tank were raised by the surveyor prior to the purchase of the property, the vendors didn’t appreciate the extent of the septic tank failure. After carrying-out a detailed survey of the foul drainage system, it was identified that the soakaway connected to the septic tank had failed, thus causing the septic tank to surcharge. With there being insufficient land available to construct a new soakaway the only solution available was to install a sewage treatment plant, with the treated effluent being discharged to a nearby ditch. When sizing sewage treatment plants the British Water Flows and Loads Code of Practice should be used. With this property having four bedrooms it was necessary for a six-person system to be installed – number of bedrooms + two. 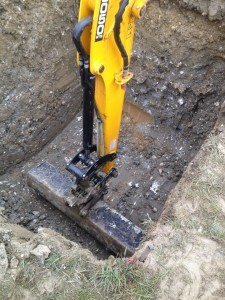 After discussing the homeowners preferences and taking into account the site conditions, Mantair engineers recommended the installation of a Clearwater sewage treatment system. 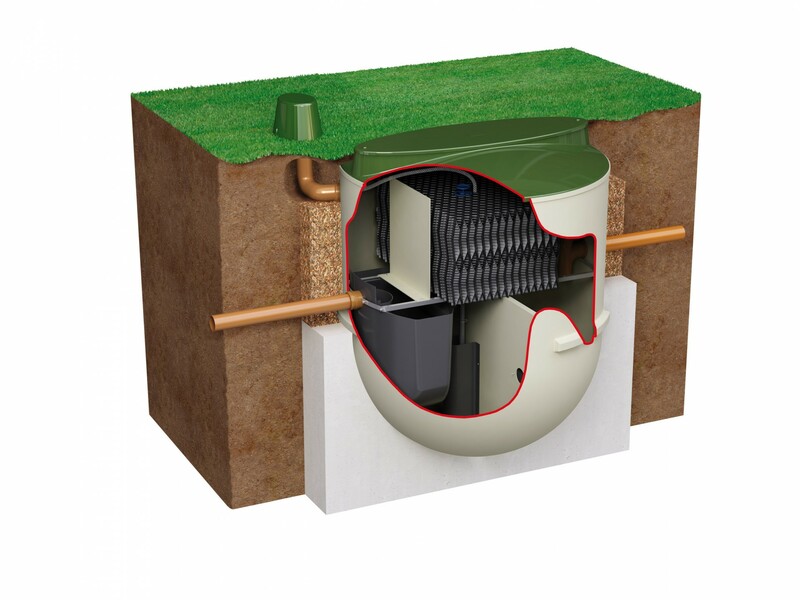 The Clearwater system uses a three stage treatment process which incorporates a biological filter, and provides an economical solution for septic tank failures. As part of the project we liaised with the Environment Agency and the local Building Control Department to obtain the relevant approvals for the installation of the sewage treatment plant and the discharge to the nearby ditch. 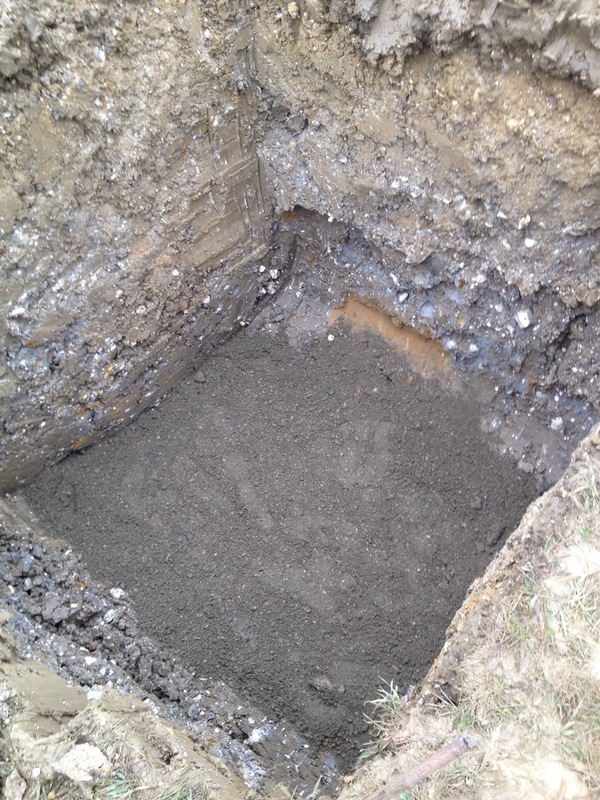 De-commissioning and filling – in of the failed septic tank. On completion of the ancillary works Mantair commissioned the Clearwater sewage treatment plant, including setting of air valves, checking all pipe work joints and viewing the discharge into the final inspection chamber. 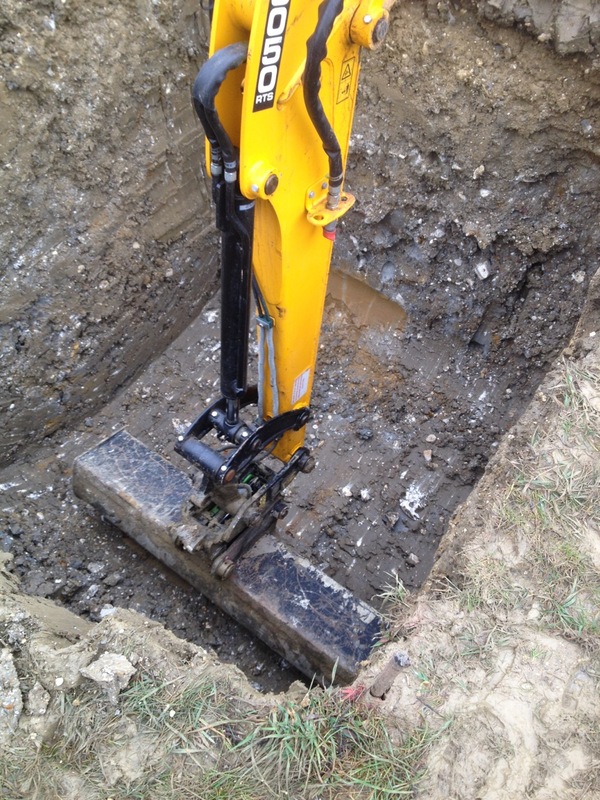 If you have a septic tank failure and require professional advice or guidance, please do not hesitate to contact us on 01255 853890, or complete the form below.